A 60 ruled page notebook bound with a metal coil and amazingly made from stone from recycled building site debris. No water, bleach or wood is used and it produces crisp white sheets of paper that is recyclable, tear resistant and waterproof! Soy-based ink and recycled paper insert sheet used. 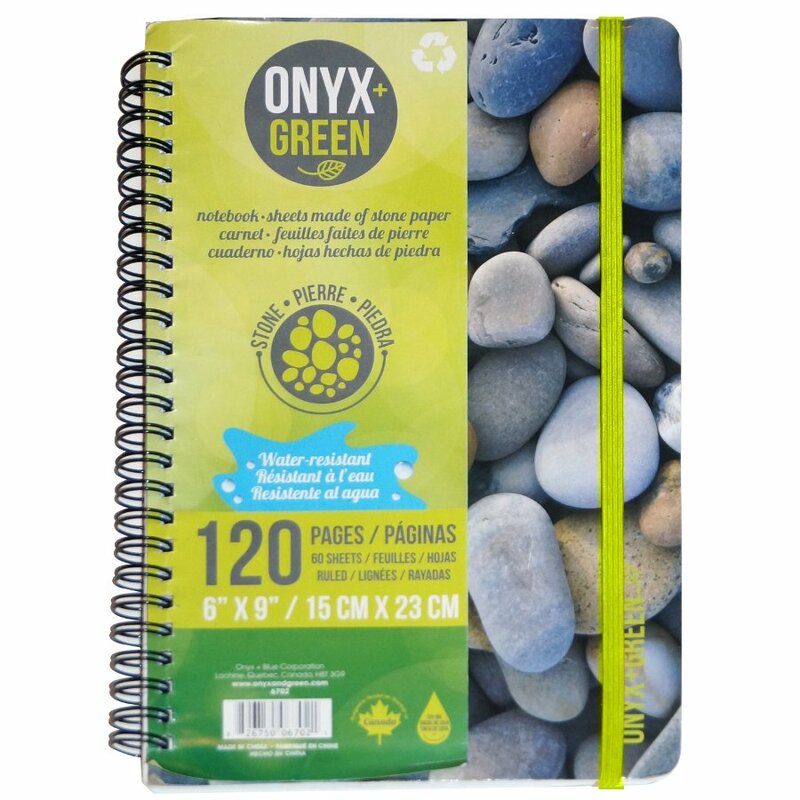 The A5 Stone Paper Notebook - 6" x 9" - 60 Ruled Sheets product ethics are indicated below. To learn more about these product ethics and to see related products, follow the links below. 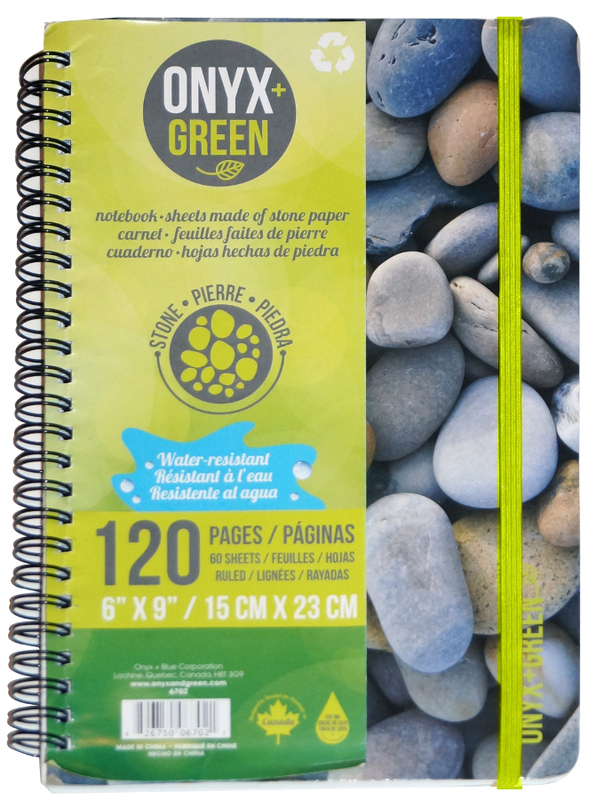 There are currently no questions to display about A5 Stone Paper Notebook - 6" x 9" - 60 Ruled Sheets.